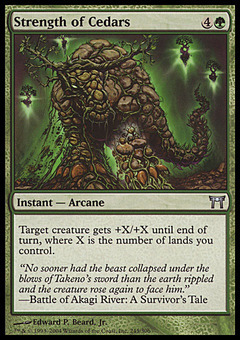 Isamaru, Hound of Konda ($5.98) Price History from major stores - Champions of Kamigawa - MTGPrice.com Values for Ebay, Amazon and hobby stores! 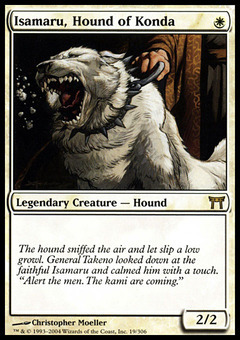 Flavor Text: The hound sniffed the air and let slip a low growl. General Takeno looked down at the faithful Isamaru and calmed him with a touch. "Alert the men. The kami are coming."